Looking at a map of Botswana, you might miss Khwai completely if you didn’t know it was there. 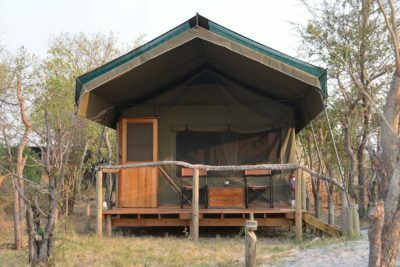 Wedged between the big-ticket attractions of Chobe National Park to the east and Moremi Game Reserve to the south, Khwai exists as a significant big game destination in its own right. 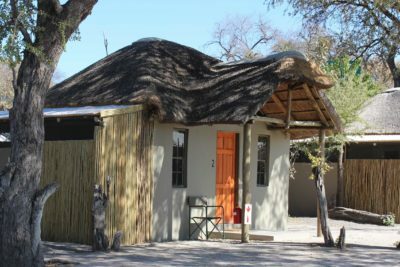 Lying on the eastern fringes of the Okavango Delta with a large wildlife population and no borders, Khwai is often overlooked in favour of its more famous neighbours, though in the winter months it can hold its own for the quality of its big game viewing. Most days are spent exploring the narrow Khwai River which forms the natural boundary with Moremi Game Reserve to the south. The Khwai River is a beacon for wildlife such as leopards stalking lechwe in the long grass; lions swimming from the banks to save their cubs during territorial disputes; and crocodiles competing with wild dogs for a midday meal of impala. As Khwai lies outside the parks, it offers the freedom and flexibility normally only possible with the heavier price tag of a private concession. Go off-road for closer sightings, take a night drive in search of nocturnal species and (with advance planning) track wildlife on foot. Khwai is also home to a village community where people live side by side with the resident wildlife. Some camps offer village visits for cultural insights to complement your safari. Particularly pleasing for those not visiting the water camps of the delta, many camps in Khwai offer mokoro (traditional canoe) excursions, cruising the riverbanks rather than the open delta floodplains.